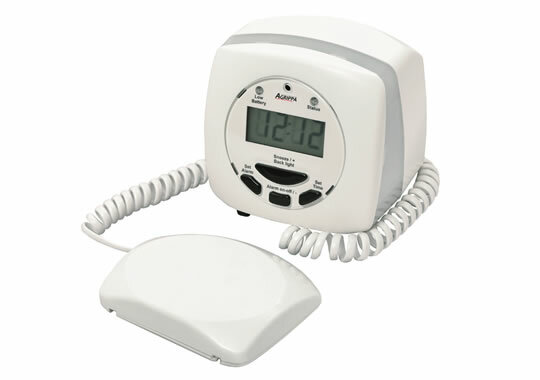 The Agrippa pillow fire alarm is designed to offer peace of mind to those who are deaf or hard of hearing. A pad placed under the pillow will alert its user in the event of a fire by vibrating, as well as showing a flashing fire warning on the LED display at the side of a bed. 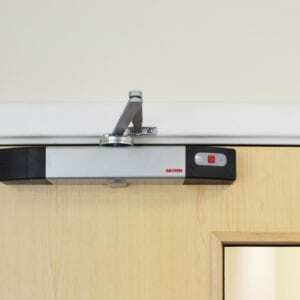 This product can be used with or without the ‘listen and learn’ technology, allowing it to be moved around in accommodation if required, or trained to listen to a specific fire alarm in one room. Battery powered, this product requires no installation and will enable accommodation providers to meet the requirements of the Equality Act. The pillow fire alarm is also CE Marked. It also offers an alarm clock function, uses standard AA batteries and comes in a smart black bag making it easy to move from room to room as required. See downloads tab for a datasheet from the manufacturer and instructions of use. Already fitted the closers in this range. Ordered the pillow alarm ahead of a hard of hearing guest. Happy with this pillow alarm. 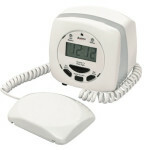 The Agrippa pillow alarm works perfectly with our hotel alarm system. Easy to set up and gives our deaf guests piece of mind.